Explanation: Hot blue stars, red glowing hydrogen gas, and dark, obscuring dust clouds are strewn through this dramatic region of the Milky Way in the southern constellation of Ara (the Altar). 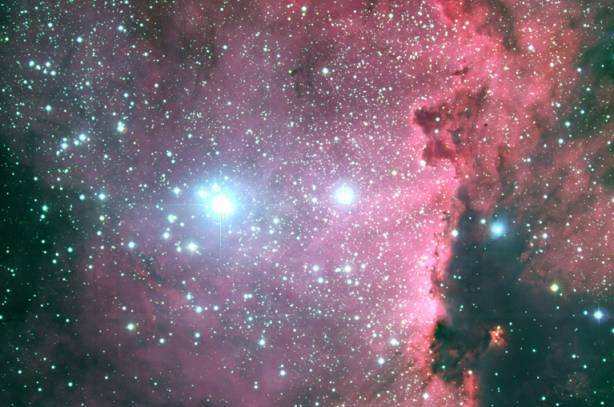 About 4,000 light-years from Earth, the stars at the left are young, massive, and energetic. 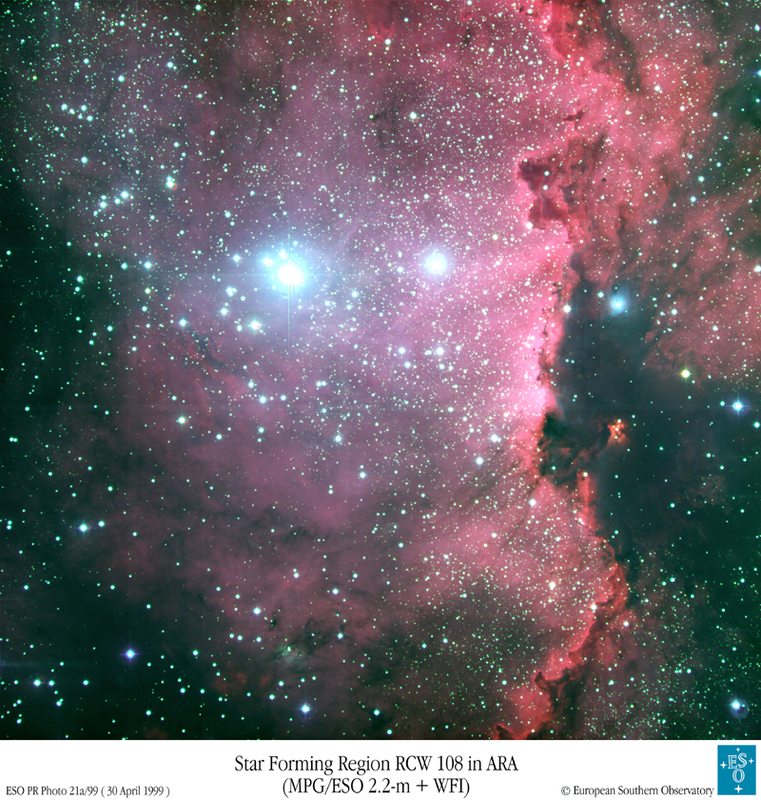 Their intense ultraviolet radiation is eating away at the nearby star forming cloud complex - ionizing the hydrogen gas and producing the characteristic red "hydrogen-alpha" glow. At right, visible within the dark dust nebula, is small cluster of newborn stars. This beautiful color picture is a composite of images made through blue, green, and hydrogen-alpha filters.